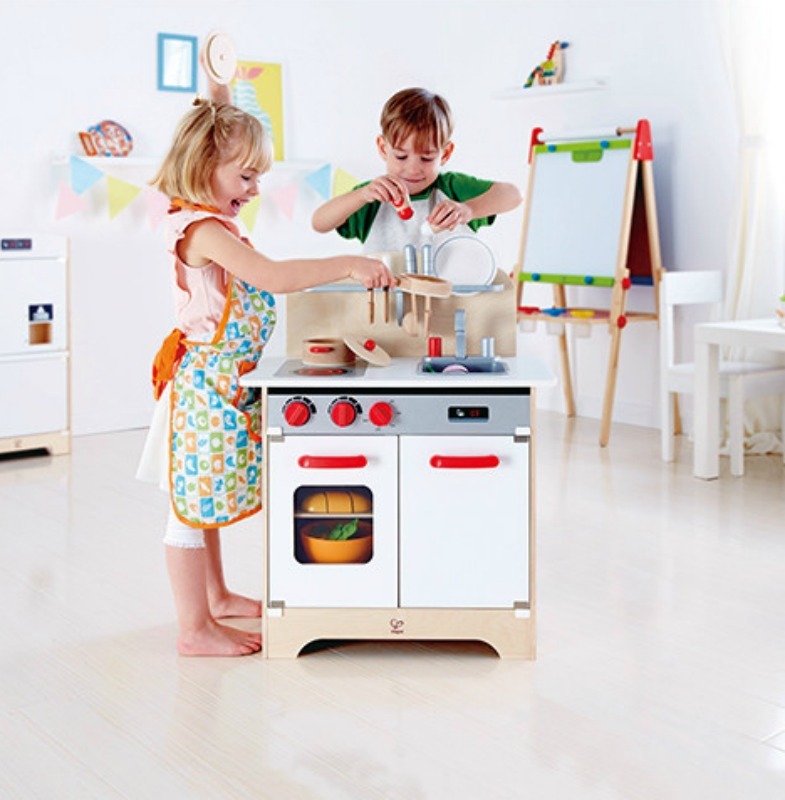 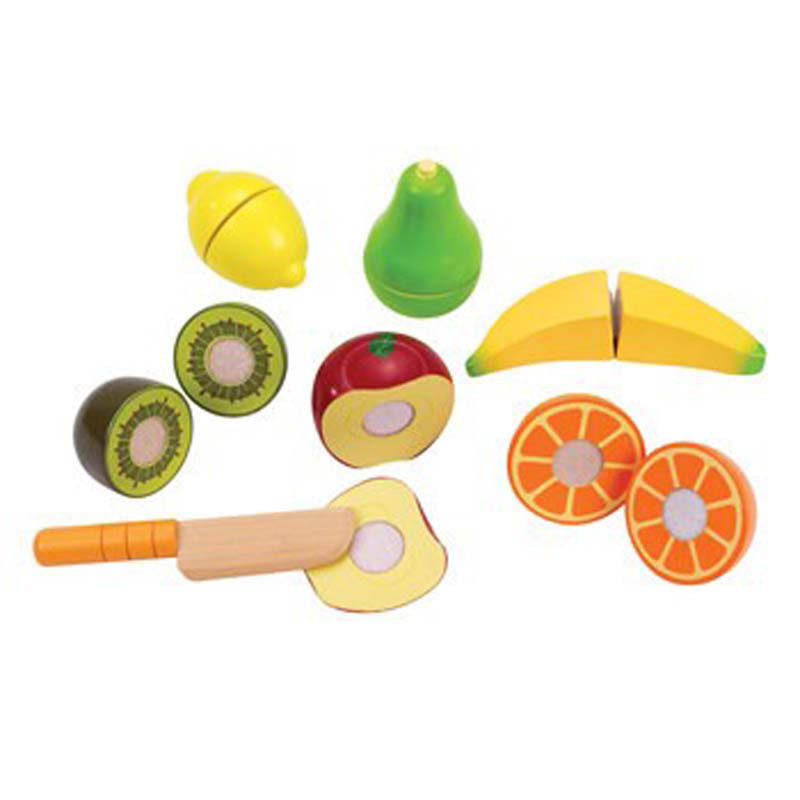 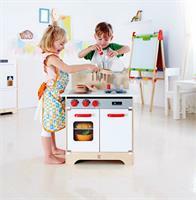 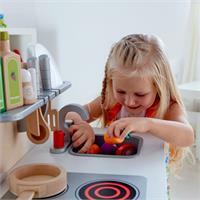 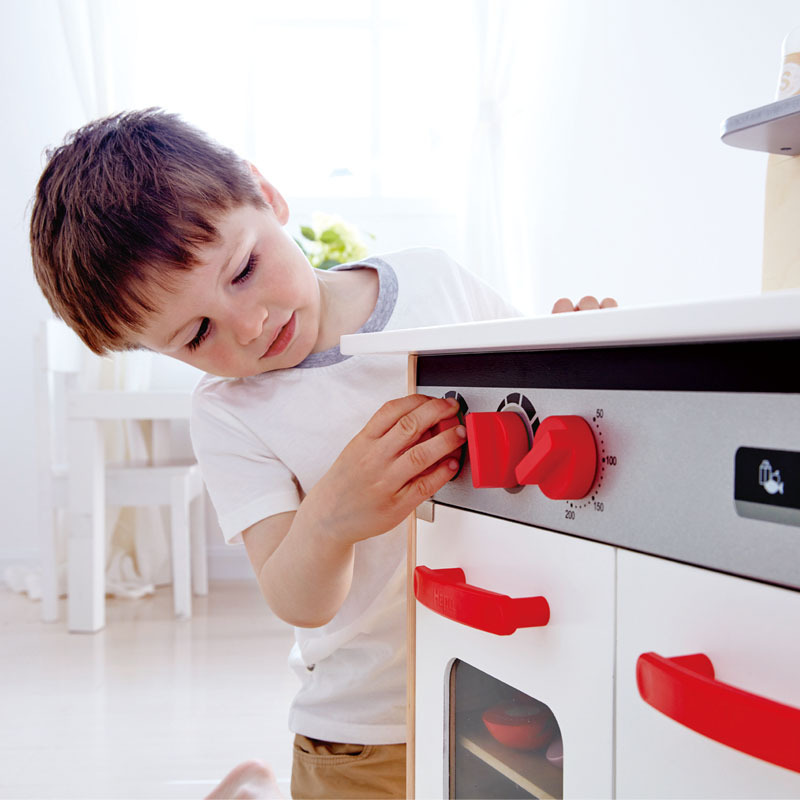 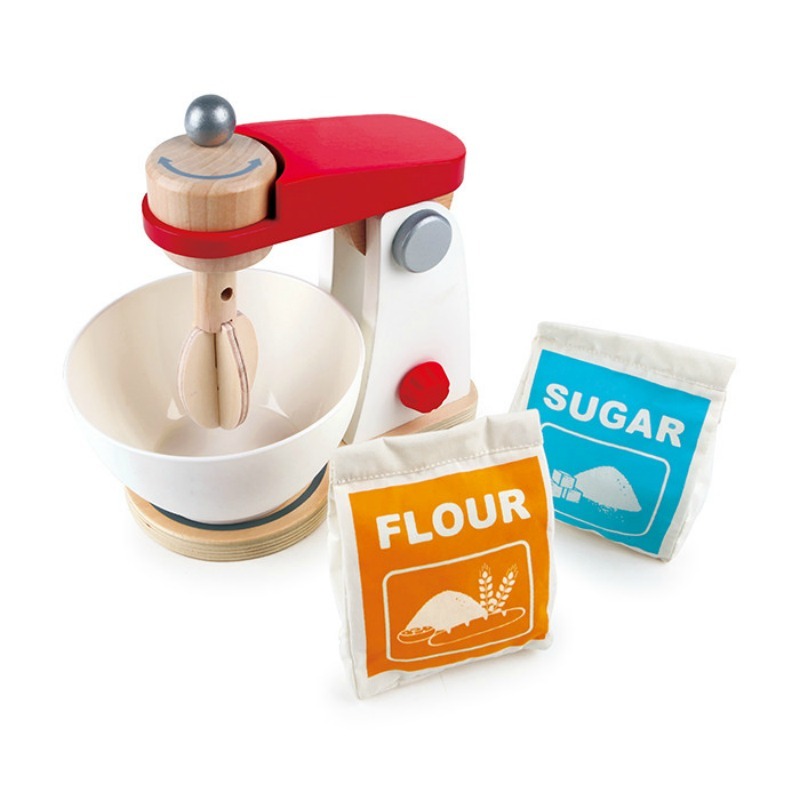 With the White Gourmet Kitchen from Hape, aspiring little chefs will love serving up delicious pretend meals for everyone! 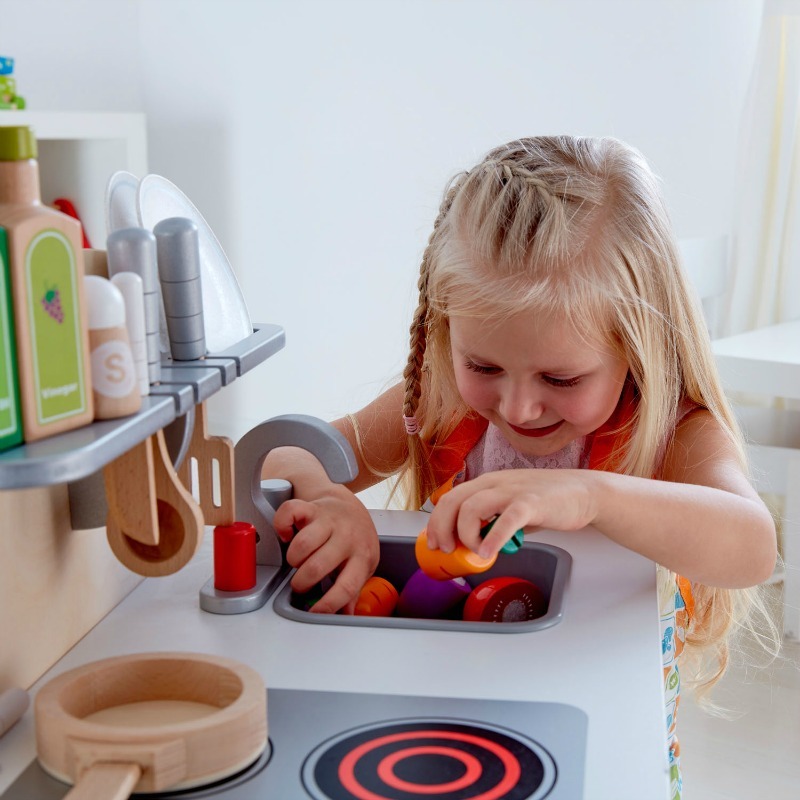 The White Gourmet Kitchen features turnable, clicking knobs, fridge with shelf, oven with window, water tap and sink - everything you need to have lots and lots of fun, time and time again. 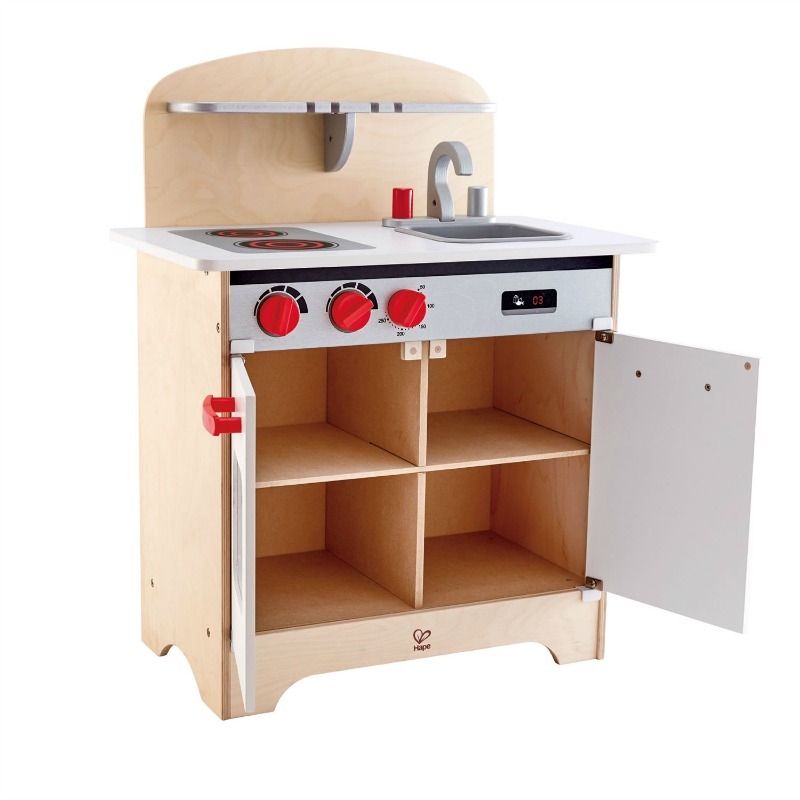 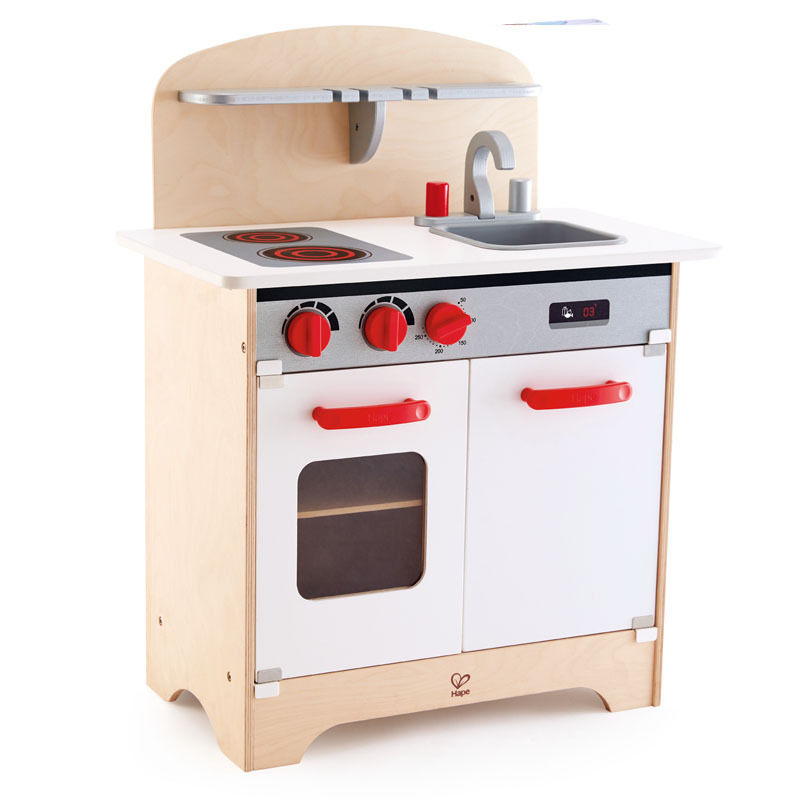 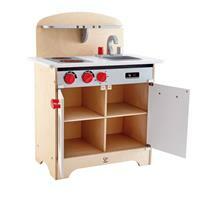 Designed and painted with a neutral colour scheme, the White Gourmet Kitchen is a super addition and great resource for every child's play area, encouraging creativity, imagination, fine motor skills, social, emotional and communication skills. 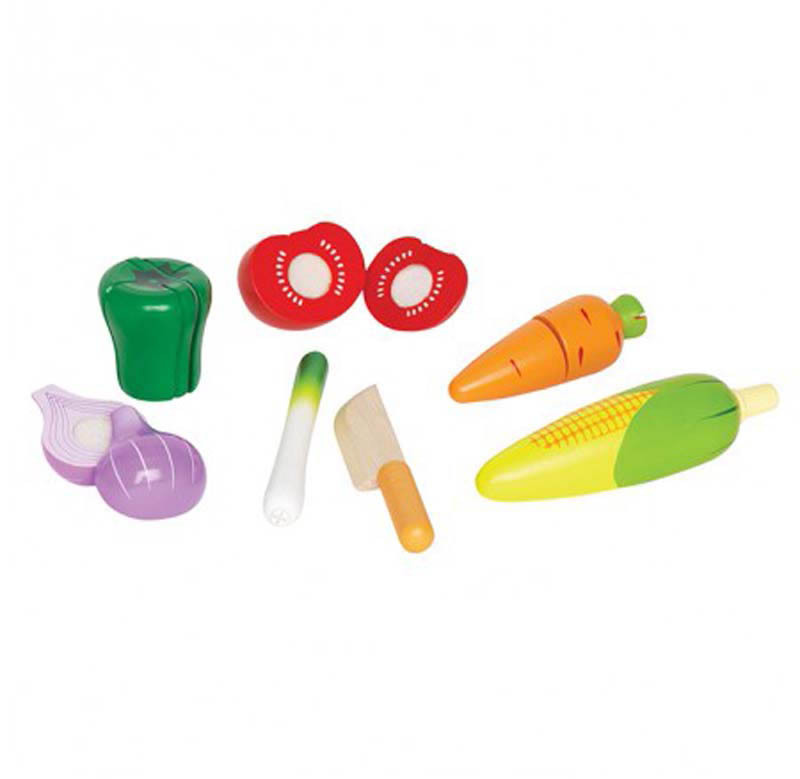 Please note that Hape accessories shown in the images are not included but sold separately and can be found here.